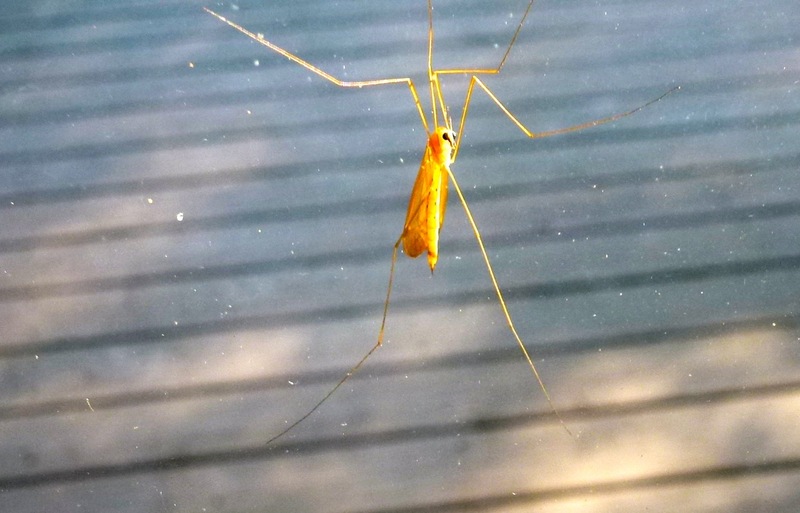 It has the legs of a daddy-long-legs spider, the body of a mosquito (although much longer) and looks like it’s spooked with its buggy eyes. I have no clue what this insect is although my local neighbor boy tells me they are everywhere and are harmless. Hmmm … he says that most bugs here are harmless — should I believe him? As long as it doesn’t invite itself inside my home I will call him harmless. I think you may be right it just looks different because the wings are not spread out.